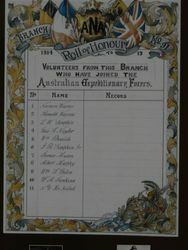 A paper honour roll with photographs commemorates members of Branch 91​ of the Australian Natives Association who served in World War One. 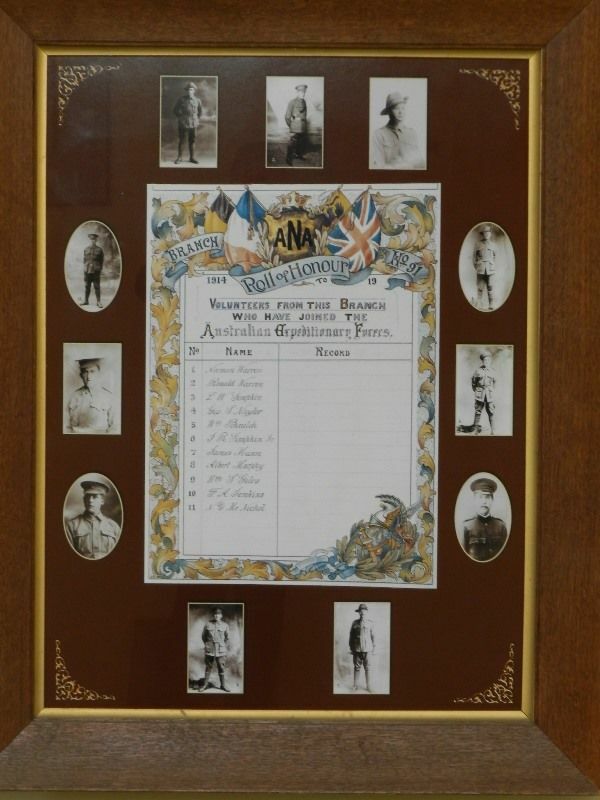 On the Thursday evening a social and concert was held to welcome home Driver T. Roxburgh and Trooper R. Warren, when there was an over-crowded attendance. Crs Laidlaw and Robertson extended hearty welcomes to the soldiers. During the evening the president of the Patriotic League, Mr Wm. H. Hedge, presented Driver Roxburgh and Trooper Warren with gold medals from the Lexton residents. The two soldiers, in responding, expressed the hope for the time to arrive whem all the men would be home to receive such a welcome. 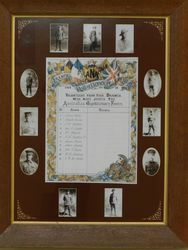 They thanked the residents of Lexton and district for the medals, which they would ever prize. Mr Hedge also unveiled the A.N.A. honor roll, which he said he had great pleasure in doing. ThE roll was greatly admired, Mr E. Banks being complimented on his artistic work. Talbot Leader (Vic), 19 August 1916.